I made this picture of the common-area floor at the high school in Alcoa, TN while my wife was out running the 100k a couple of weekends ago. 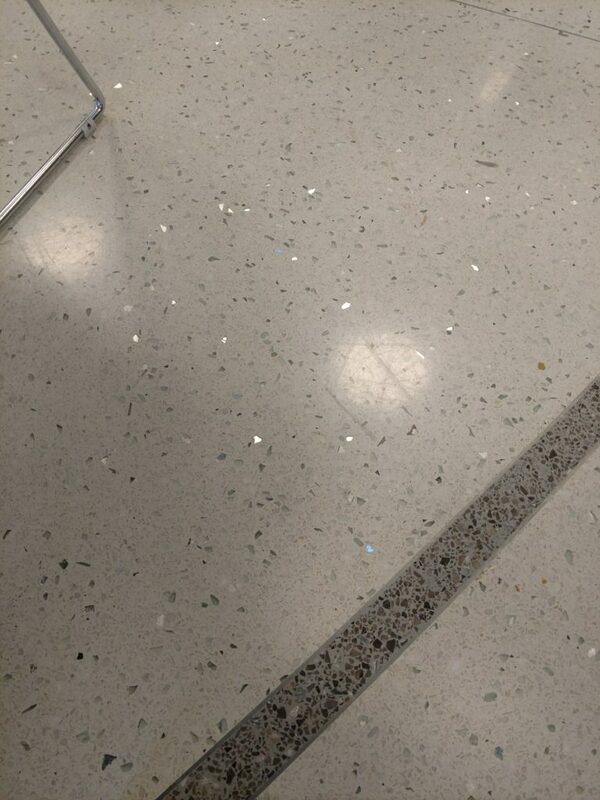 I thought it was interesting how they had embedded chunks of aluminum in the flooring and polished it. Alcoa is a company town built by the Alcoa company to house the workers at their processing plant. The high school sports name is the Tornados.